Chennai, July 22: Bengaluru drivers enjoyed a successful outing in the first round of the MMSC fmsci Indian National Drag Racing Championship for four-wheelers at the MMRT, here on Sunday with Vivek Ramachandran scoring a double while Chennai’s veteran racer Radha Selvarajan was the quickest in the competition besides topping the Indian Open (altered body) class. Vivek Ramachandran topped in the Unrestricted and Indian Open (stock body) classes with fellow-Bengalurean Mithun M in second place in both the categories. Unrestricted: 1. Vivek Ramachandran (Bengaluru) (13.120secs); 2. Mithun M (Bengaluru) (13.357); 3. Radha Selvarajan (Chennai) (13.528). Indian Open (Altered body): 1. Radha Selvarajan (Chennai) (12.693); 2. Jayanth V (Bengaluru) (13.178). Indian Open (Stock body): 1. Vivek Ramachandran (Bengaluru) (13.247); 2. Mithun M (Bengaluru) (13.363); 3. Shubhodeep (Bengaluru) (14.621). Indian Touring Cars: 1. Kasha Sai (Salem) (16.699). Fastest car: Radha Selvarajan (Chennai) (12.693). 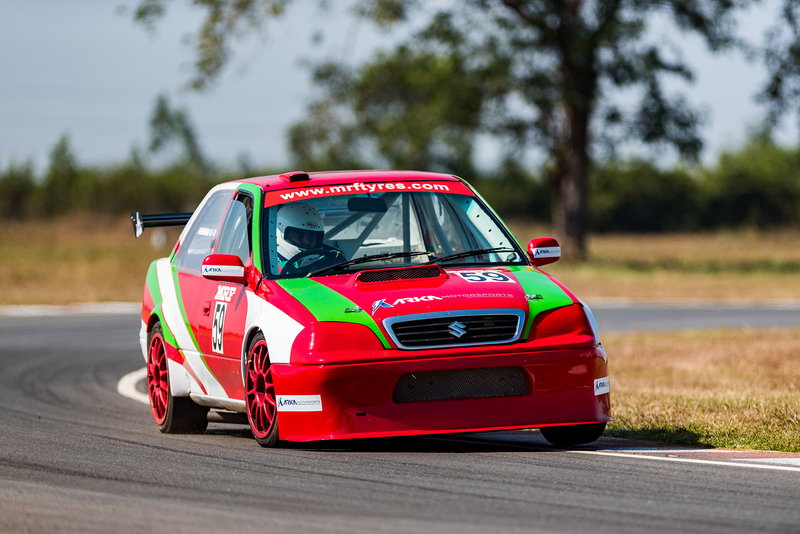 Chennai, February 2: Bengaluru’s Ashish Ramaswamy of Arka Motor Sports team set the benchmark by qualifying for pole position among saloon cars as the first round of the MRF MMSC fmsci Indian National Racing Championship commenced at the MMRT circuit, here on Friday. 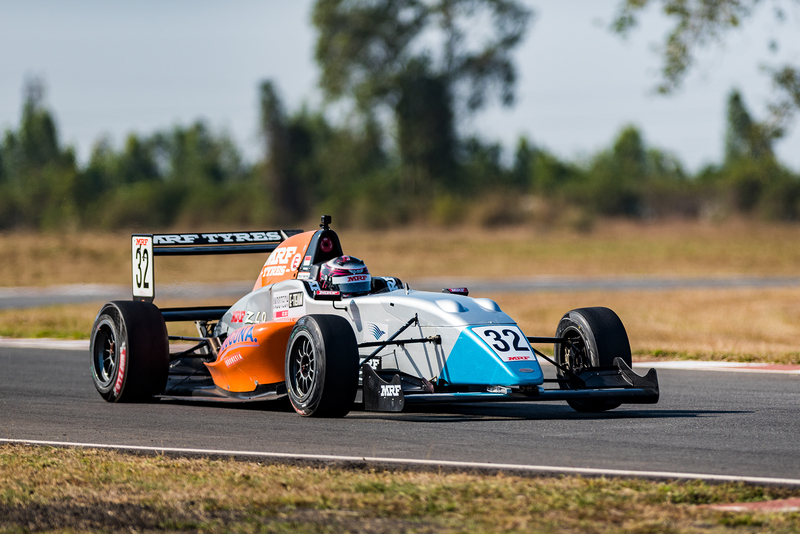 Meanwhile, two 17-year olds Indonesian Presley Martono and championship leader Felipe Drugovich from Brazil, qualified for the front row in the fourth and concluding round of the MRF Challenge as the top six drivers finished within a second of each other to set the stage for some thrilling battles over the next two days during which four races will be run. Drugovich, coming off a brilliant run in the previous round in Abu Dhabi where he won all four races, started the day strongly by topping the first of the two free practice sessions, but Martono who trails the Brazilian by 86 points, responded by claiming the honours in the second outing before carrying that form into the qualifying session to grab pole position.